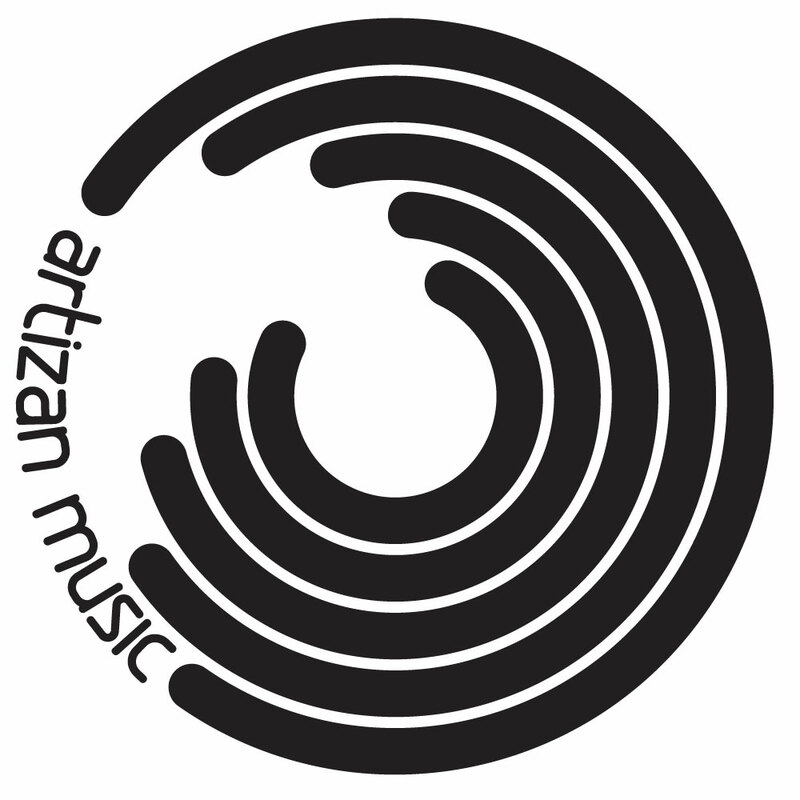 Poussez – Artizan Music was started by Jafar, Maxime Cescau & Andy Touchfingers in 2005 as an outlet for their solo & collective studio works as Poussez. It was born from the consolidation of years spent running labels, working for the majors, independents, distributors, djing, running parties, etc. The usual really. It was also envisioned as a platform for ‘master craftsmen’ who also fitted the Artizan mold; that of futuristic, emotive, underground dance music: Deep House, Tech House, Nu Disco & Techno. Poussez – Whatever has been earned in the music business over the last 18 years through DJ bookings & running events was what we put into the commencement of the label. In 2011 nothing has changed whatever is made goes straight back into the business. Poussez – At time of writing 17 with an 18th just around the corner. Poussez – We believe in quality versus quantity. Just because it is that much quicker & easier to release music through the internet does not mean quality control should be compromised. We are actually looking to reduce our output next year to perhaps a release every 3 months, so only 4 or so next year. Suffice to say each one will have a limited edition run of bespoke collectors 12”. Poussez – There are NEVER enough hours in the week in the music industry. Our time is divided between weekend DJ bookings, sometimes in the case of international that also includes midweek onwards, but generally speaking we treat it as a full 9-5 like any other business. However when your passion is your business normal rules don’t apply, therefore it’s very normal for us to run the label & do admin 9-midday, the studio after lunch till 6-7 in the evening, then break for dinner run a couple more hours & relax with a movie by about 10pm. You don’t even notice the time go. Poussez – There is no denying that in the zeroes one cannot turn the sort of figures the industry was pushing in the glory days of physical product, but essentially the model is flipped. The focus has to be on touring & events. Artizan Music therefore serves as a platform for new music as ever & an outlet for releases, but it is also a vehicle for promoting events (www.uptownboogiedown.com) which continue to run regularly in the UK & Sweden. Poussez – Constantly keeping up with marketing is an endless battle in the digital age. Twitter seems a bit pointless to us. Poussez – Freerange Records, Drumpoet Community, the excellent UK-based BOE, Connaisseur, Liebe Detail, Rush Hour, too many to list really. Poussez – We had all been in the industry a long time before starting the label. Maxime ran the 4bit Art&Music label, had worked as a sound engineer for many years in Chicago & San Francisco plus set up a distribution company in the early zeroes. Jafar ran the brokenbeat label Kwaito Recordings, had spent 4 years at Universal music, been head of UK operations for Mostiko (a dance offshoot to Rock giant Roadrunner) & spent many years in dance music distribution. Andy teaches keys to some 70 students a week & used to run drum & bass label Odyssey. All three have been djing for over 17 years & producing for over a decade. Poussez – An artizan is a master craftsman & Artizan really set out to profile established & up & coming names that fit the mold alongside being the mainstay for Poussez’s productions. We like to think our uniqueness lies in our attention to detail & love for what we do. Everything from the design aesthetic, newsletters, podcasts & parties are crafted with love & patience from the heart. Our roster represents artists we love & we hope to continue to be able to be a platform for discerning music. We are a music label run by music people. Poussez – Not at all in this day & age on the digital side, but our physical product is handled by Prime Direct in Greenwich London, which is not far from Maxime’s home, so that has certainly helped. Jafar moved over to Sweden in 2009 & that has not impacted on us at all. If anything it has expanded us having offices in two territories. Poussez – In almost 20 years of appreciating dance music our passion & excitement has not waned one bit. Of course being producers & running the label does mean you are critical, but we were always like that as DJs anyway. It pays to be very critical when searching out & appreciating music. There is a wealth of great music out there, but not much extra-special next level stuff! Poussez – As it says on our website, we listen to everything we receive, but due to time constraints cannot always listen to everything. We humbly also ask those producers that are interested in us & keen to join the label to really bear in mind what the label is about. Deep, forward thinking, house, techno, tech-house, & nu-disco that has that extra sparkle & uniqueness. We also prefer to receive direct links to online players like Soundcloud. Links to downloads if we can’t hear the track first wont be listened to. Poussez – Most have been existing friends garnered through our years DJing, others like Sweden’s Andreas Saag was sought out the moment Jafar moved to Sweden because we loved his material on Freerange... turns out Andreas was a super lovely person too. Rhythm Plate was another couple of guys we’d always loved & soon met through friends of friends. Being genuine with people & acting with integrity & making genuine friends goes a long way in this industry, there are a lot of people out there not in it for the right reasons & ready to stab you in the back. Poussez – I think for us getting Andreas Saag to remix our own Modern Identity track was definitely key. Andreas’s sound transcends a lot of boundaries & with our original being very well received (former IDJ magazine top tune of the month) it was an honour to have him remix us. Poussez – Vocalists primarily & live musicians. Jafar used to drum in a band & Maxime has engineered so many over the years, so neither of them is strangers to bands. We like the cross-pollination of bands with electronic production. Poussez – Egos. Neither party understanding the other, no common ground musically or otherwise. Poussez – Depth, emotion, & a certain soul. Poussez – We do all our own mixing & mastering. If we hear a demo that has potential, but it needs compression or refinement or some editing of course we’ll always say. Poussez – It really depends on what is happening on our dj schedules, our own studio commitments & the label pipeline. The shortest minimum period would be around 3 months, but the longest has been up to a year. Poussez – If the music is still strong enough we may still release it, but with so many demos coming our way it would depend entirely on how timeless the music was. 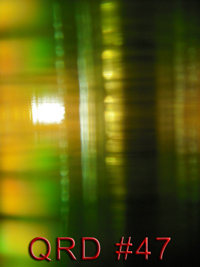 Poussez – We are more of a ‘producer’ led label, but essentially the marketing is the same. Be proactive. So many studio bods are just that; dope producers, but lacking in marketing-savvy. In the glory age of the internet you need to be socially optimized, PR aware & understand what it takes to break music. For example, when we sign one of our own productions to a label we don’t wait for the label to do the work (which they will), we also spread awareness ourselves via all our own web affiliations & databases. We liken the underground scene to a huge hot air balloon & every release or bit of marketing you do is but a glob of blue-tack on it. It takes a lot of blue-tack to stick. Poussez – We did sit on a Burnski record far too long & in the end he signed if off to BOE, was bit gutted about that, especially as he’s doing really well now; but BOE is an ace label run by a mate of ours, so glad it found a decent home in the end. Poussez – Good question, would depend entirely on other factors, sometimes you can sign records purely for strategic purposes. A really underground artist that doesn’t necessarily sell many units, may still run a great club night that will give profile to the label in other ways. Poussez – Depends on the artists profile, we have done advances, we have done one-off fees. We have done 50/50 deals, we have done 60/40. 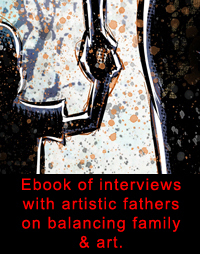 Poussez – Depends again on the terms of the deal &/or any advance, publishing tie-in or similar. Also depends on what the label is having to put in for marketing & engineering costs before profit is made. For example one release may require just a club mailout another may require full global radio push, video campaign, viral campaign, etc. Poussez – Very. The more artists that can use our logos & name after their names on marketing materials & on international tours, the better. Poussez – Both. You can never have enough marketing to cut through such a saturated market. Poussez – Newsletter, social networks, podcast. Gigging as much as possible & the popular Uptownboogiedown events in the UK capital generates decent awareness & connection, we’ll certainly direct to a loyal London based-fanbase at any rate. Poussez – Periodically yes. We require help maintaining social networks & grooming databases. We also use street teams for events, but not really to push releases (unless those indirectly feature on the events flyers which has happened in the past). Poussez – Jafar, Maxime, Andy on the board. Maxime, Pete Nawara & Pete Hawkes on design plus 2 interns on periodic rotation. We use 2 external PR companies (www.nimblepr.co.uk), 1 external Radio Promo company & periodically, additional Press support. Poussez – Prime Direct handle our vinyl distribution & they have good relations with all the key players. In the past the Cool Cuts shops (those that provide returns for the Hype Charts) are given preferential advance white labels & all are always invited free to our events. We have always given shops like Black Market & Swag in London a S.O.R. policy on larger quantities direct from us (sale or return). Poussez – Again we use external agencies for this, but there are key players to whom one on one email contact is maintained alongside that of any relevant show producers. Again it’s all about cultivating one-on-one interaction. It shows you are serious & you care more than just shooting off mailouts & hoping for the best. Poussez – Free music, free entry to events. Post links to their content via our sites. Mention them in our newsletters. Poussez – Ads only work when you are a ubiquitous & very recognized brand within any chosen field. It’s a bit of a how long is a piece of string question. Consumers won’t connect to an ad for a brand they don’t recognize. PR comes first, then ads. It however is a tool to financially incentivize or ‘thank’ key websites & editorial... although, one must say, that is very much the PR industries worst kept secret: i.e. so many brands & companies can essentially ‘buy’ editorial with ad spend, irrespective of quality of product. We fail to see the overall effectiveness in that, as the consumer is not stupid & more marketing-savvy now than in any previous era. Poussez – To get Artizan Music’s physical & digital product in the optimally right places for our style of music & to the consumer who appreciates it around the globe. Poussez – Because the costs of the initial cutting lacquers are fixed, we simply press in runs of 300. Poussez – Yes. More T-Shirts to come. We are discussing options for creating an Iphone App of some sorts. Maxime was recently involved in a picture-book app for children about a hungry lizard called Paco-Bongo. Poussez – Yes, our websites always promote releases from Poussez, Jafar, Maxime Cescau, & Andy Touchfingers that feature on 3rd party labels &/or compilations. Poussez – It is a tough balance, there is no denying that, but essentially a career in music is the sum of all the parts together & doing it all WELL. Poussez – We already do. Poussez – There is cross-pollination of people remixing each other’s releases & a lot of our roster are already friends with each other. Overall, we run large, two room events & they normally feature 5 or 6 artists from the label, so it’s a good time for us all to hang out, catch up, have fun, & chat music. Poussez – Most producers are realistic about the scene. Artizan is of course a business, but we also believe in music with credibility & integrity; that comes absolutely first with an eye on the market place. It’s about keeping it credible whilst being aware of what is going on around you. Poussez – R.O.I with underground music are you kidding? ;0) We always keep a close eye on the changing sound in our field. Poussez – Interns have worked for free or experience or free music & entry to events. Not every release has appeared on 12” & ultimately by working with a talented but exceptionally understanding group of people. Where we haven’t been able to pay advances we’ve tried to always bring the roster into club bookings. Poussez have also done swap-remix deals. For example Nacho Marco remixed for us & we for his LoudEast label. Poussez – Nope, still life in the old girl yet but the future is something like an iPhone app. Poussez – No there will always be people who like collecting physical things. The thought of a sterile, clinical, white house with nothing in it but a MacBook is nice in one way, but not in another. Vinyl is about collecting choice artwork & a tactile thing as much as it is the music. The two go hand in hand like foot & shoe. The cassette however is just cool, it’s retro, it reminds this current generation of their youth in the 80s; we hope it lasts, but it will be a limited return methinks... perhaps its a retro fad & return to ghetto blaster cool or similar. Poussez – With the way technology is going, it doesn’t matter but we’d hate to see vinyl go altogether; it has done so much for music over the years. Poussez – Yep, all for that but they ought to also be housed in really nice collectable packaging with lovely artwork. Poussez – It really depends on the music industries solutions to ongoing piracy. Do fans get charged through their broadband? Do record labels & artists get paid via service providers? Or is it all about a worldwide acceptance that the cost of going out to appreciate music will go up, because that is the only revenue left for artists. Poussez – It’s a double-edged sword as it still promotes the artists & labels. Its pointless trying to send cease & desists, because the web is too big. That would be a fulltime job in & of itself. Where possible, we just try & limit the quality of promo copies doing the rounds so that the WAVs are only available through the stores. Poussez – I think pushing producers who have really done a disservice to what was originally a great piece of music is punishable. Not to put too fine a point on it, but the amount of dodgy eurotrance versions of classic indie, funk, pop, or house records for one. The other is lazy ‘Re-edits’ that essentially do nothing more to an original track than add an extra 32 bars in Ableton & a kick drum & then put that out as your own music trading on someone else’s name & profile... totally unethical. Re-edits when done well actually add something new to an original. That’s a different ballgame... check out Greg Wilson as an ace example. Poussez – Do something else, ha-ha-ha. Question your motivations & beliefs. Do you really believe in the music first & foremost because that’s what this is about? You want to make millions go work for a bank. Poussez – Touring & events. Touring & events. Poussez – As we said not all artists are market-savvy. Proper labels (as opposed to the millions of overnight efforts you see springing up for 5minutes with badly designed artwork, plugging terrible music & essentially ripping off gullible young producers) have direct & regular access to vast networks to act as a platform for that artist more than they alone can do. Poussez – Soundcloud.com & YouTube.com. Poussez – Being true to itself.